If you like cakes with alcohol where you can taste the alcohol, this recipe is one of them. 3/4 cup of kahlua will do it. Also, the recipe didn't quite explain the white and dark chocolate shavings. Those can be made by grating a cooled dark chocolate bar and a cooled white chocolate bar on a cheese grater. Make this for Cinco de Mayo and have fun. 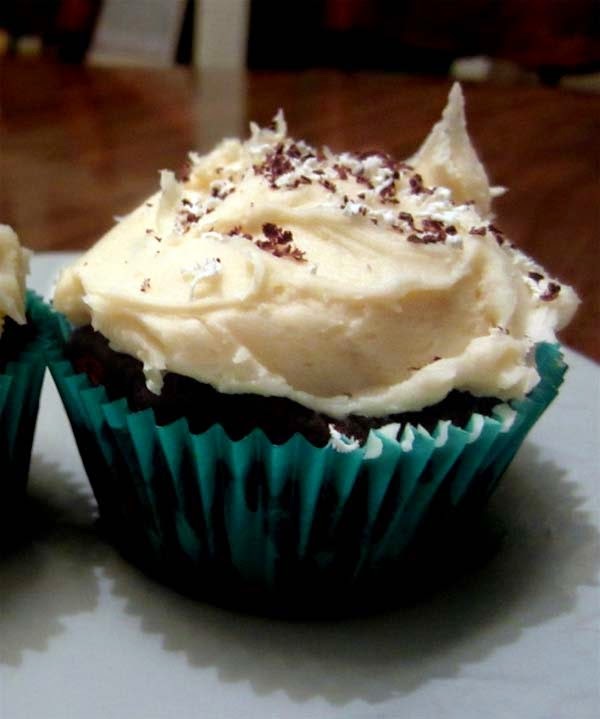 Another alcohol-based treat to make for Cinco de Mayo is Margarita cupcakes.